Pipe and Drape is the flexible draping system you can install anywhere. It is quick and simple to set up and you won’t need any tools nor specialist equipment. The system uses telescopic poles called Uprights and Crossbars, which make up the frame system. By choosing from our range sizes you can construct a frame to work in virtually any room size. 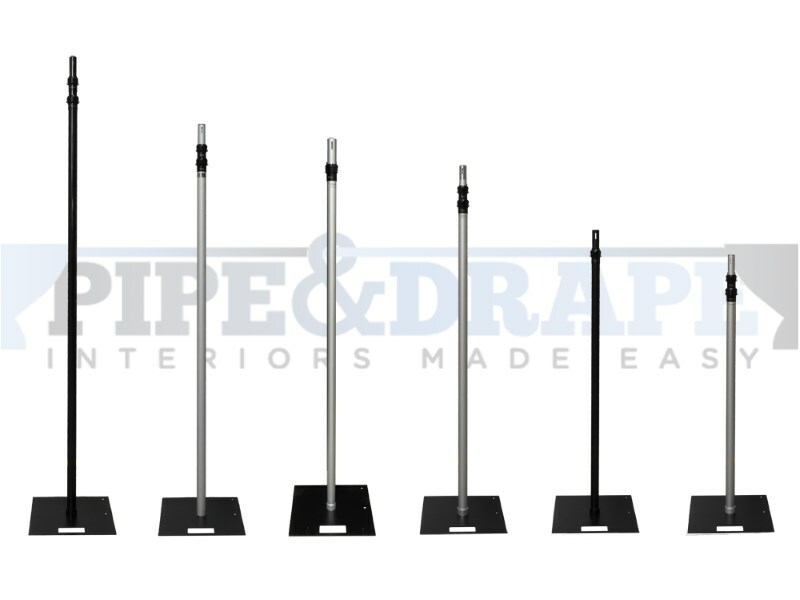 We have in our range of Uprights poles from 4ft in height up to a whopping 20ft – that’s 6m! Whether its walls, backdrops, booths, concealment or dividers Pipe & Drape is the ideal solution because it is lightweight, easy to store, easy to transport and easy to setup. All of these products can be purchased Direct from us via our Pipe and Drape Direct website. Our backdrops can turn any old sports hall or village hall into a spectacular venue to host all types of events. We can make your venue look professional and new. Our backdrops can be left as a permanent fixture making your hall look brand new or they can be installed just for a one off event at a low price. Just think of the events you could use our lining for. Firstly you could have this lining installed temporarily for somebody’s wedding. We can make the whole room glistening white to make their day that little bit more special. But it does not have to be a hall, we can set up our backdrop in a marquee which can then be taken down. If your venue is hosting an awards ceremony we design to any of your specifications to make sure the spotlight is on whoever has won an award. We can add light fixtures that create any effect that you desire. We can also decorate the rest of the room to make the tables and chairs match the rest of your room. Whatever you need to make your room look perfect we can install to impress everyone that enters it. We can also set up our backdrops in schools, shopping centres, shop windows, hospitals and much more. These are hassle free and can be set up in minutes. If you need us out of the way quickly then this is ideal for you as we do not require any tools either. Our backdrop hire can match whatever occasion you want, we are currently prepared to fulfil everyone’s Christmas needs for their festive parties and gatherings. For Christmas parties we have decorations to match everything, from snowflakes in various sizes to various sized Santa statues that can make everyone jolly. Events take place all over the country at all times of the year. In Leicestershire alone for example there are regular comedy and art events taking place at the Snibston Museum. These events include high tech light and sound shows that bring the old coal mining town to life, and let people really experience the history of the area. Melton Mowbray, another Leicestershire town, host a variety of performances from stage work to ballet in the Melton Theatre. All of these events require a lot of work in order to be put on without any mistakes overshadowing them entirely, even if it’s just installing marquee lining. Before all of the audience arrive to appreciate the event that will be taking place many things need to have happened. If the event is in a building then the hall lining needs to be up in order to create the right atmosphere, and marquee lining installation is imperative. Alternatively events can be held outdoors, in which case marquee lining services will need to be employed in order to properly install the marquee linings. 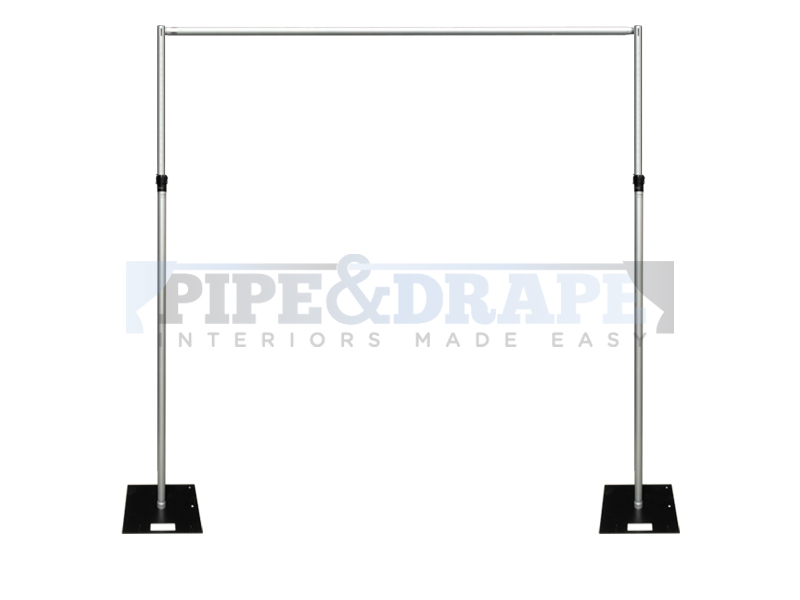 In certain cases events will require a room to be created in the middle of a building’s grounds and so free standing drape supports will be needed in order to accomplish this. One company that helps with all of these pipe and drape services is HighSpec. The company have a range of products and services that can help any event achieve just the atmosphere they are after. Sports hall lining and starcloth lining are two of the most common products required by an event’s organisers, but a reveal gable or false gable are also high up on the priority list for some. HighSpec have worked with many different companies, organising events in order to make sure that they are exactly as they have been as they should’ve been. There are of course those individuals organising events who require products like traditional marquee lining for a wedding, and HighSpec have been able to help them as well.